On May 30, Defence Research and Development Organisation (DRDO), for the first time in the country, successfully demonstrated its capability to design next-generation "technology of nozzle less booster" in 'Solid Fuel Ducted Ramjet (SFDR)' propulsion based missile. The technology demonstrator flight test carried out successfully from the Launch Center-III of Integrated Test Range, Chandipur, Orissa, DRDO said in a statement. 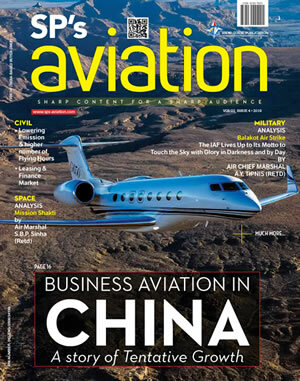 "The flight test met all the mission objectives," it added. India already operates air breathing – Ramjet propulsion BrahMos missile. The Ramjet engine works only when it is cruised at supersonic speed. It works best around Mach 3. To arrive at this speed the Ramjet powered missiles are propelled through solid boosters and after reaching the required speed the Ramjet engine kicks in and propels the missile. This allows missiles to maintain sustained high speed for long ranges, even in their terminal phase making them capable of intercepting highly maneuverable aerial targets. One such missile which is in India's arsenal is MBDA's 'Meteor' air-to-air missile capable of engaging targets at well beyond 100 km range. India acquired them as part of the 36 Rafale aircraft deal. 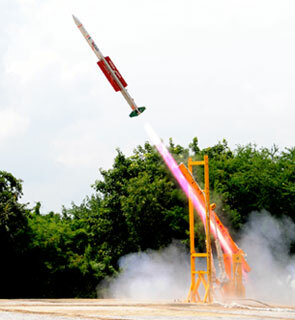 This is first test of any weapons system after the superannuation of DRDO Chief S Christopher on May 29. 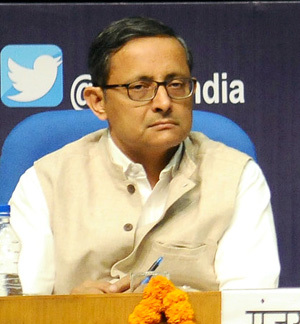 Defence Secretary Sanjay Mitra has been assigned the additional charge of Chairman DRDO for next three months. DRDO calls the latest test as a "technology demonstrator flight". This technology has the capability to give India capability to develop long range air-to-air and surface-to-air missiles. India is working towards self-reliance in missile technologies. According to a news report by Russian news agency Sputnik, "India's new surface-to-air missile is powered by Solid Fuel Ducted Ramjet (SFDR) technology, which was jointly developed by India and Russia. The defensive weapon achieved a speed of Mach 3 during its first test flight." 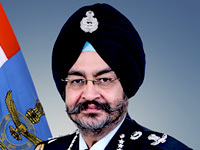 "The DRDO will test other components of the missile such as its high technology seeker equipment very soon. The 250-kilogram SFDR missile has been under development since 2013," it added. Any missile flying at the Mach 3 speed will cover one kilometer in one second. So, if the missile flies for 300 seconds it will cover 300 km. Although, DRDO did not disclose the flight duration but one can well assume that the range will be in excess of 100 kms as the ramjet engine will start only after the missile boosters have accelerated it to beyond mach 3 speed. Biggest strength of SFDR technology is that it allows missiles to maintain speed even in terminal phase where as solid fuel missiles lose their power by the end of its range and glides to the target. At such speed there is enough kinetic energy to glide to some distance but aircrafts and cruise missiles can escape through quick maneuver as the missile loses its power. The SFDR powered missiles are air breathing and based on the target data it can reduce or increase the airflow and thus can control fuel utilization and hence are capable of maintaining speed till it hits the target. Therefore, no target can out maneuver such missiles in its 'no escape zone'. The important part of the test was the test of nozzle less boosters which allows packing of more amount of fuel with limited amount of oxidizers as hot air acts as the oxidizer and gives missiles better range than traditional boosters. As of now this technology does not cut much ice with the medium and short range missiles and is effective at longer range only. This missile, is a good omen for India as the Sputnik called it "Indian version of the French Meteor". We, in near future, may see the advent of longer range Astra or extra long range SAM missile in the line of formidable S-300.